I am happy to report on the final total for the 2017 Poppy Appeal, that raised the grand sum of £9669.59. 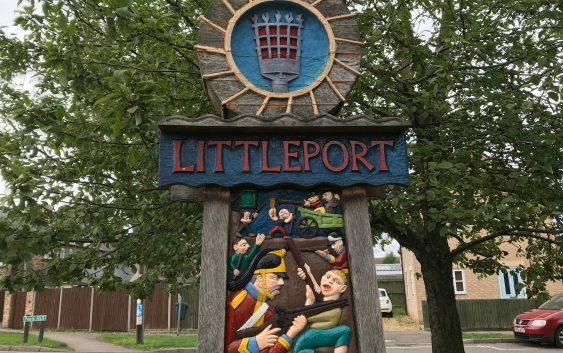 A wonderful collection, one of the highest ever for Littleport. Now it is time to concentrate on the 2018 collection. During the two weeks of the Poppy Appeal, leading up to Remembrance Sunday the branch collected £10,576.37 which puts us on target for our best ever year! 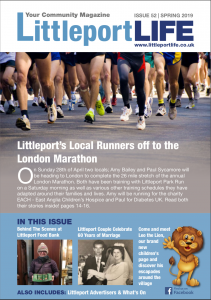 We hope that Littleport will continue to support our efforts as we will be holding fundraisers during 2019. There will be a collection on Armed Forces Day and we will have three other collection days when you will have the opportunity to purchase RBL goods. We would like to thank all those who contributed to the artwork that appeared to decorate Littleport during Remembrance. There are too many to name individually but the Branch thanks you most gratefully. The numbers turning out for the parade and church service surprised everybody and I feel certain that the Reverend Howard Robson would love to see more of you on a regular basis. The last event of the day was the lighting of the beacon to mark ‘Battle’s Over’. It was well attended and appeared to be well appreciated. Thank you all and thanks to the Leisure Centre for running a quiz night, which added to our takings. Although the beacon lighting was the last event for Sunday, we still had two more wreath laying services on Monday. Firstly, for the primary schools whose pupils laid a wreath for each school. Secondly a wreath was laid by a representative of Network Rail at the Knightall Memorial. Thanks to all concerned, particularly the school staff who do a wonderful job organising the children and keeping them safe. Lastly, I would like to put in a plea for more people to join the branch. We need more helpers. You do not have to be ex-services but you do have to believe in what we are doing to support the service and ex-service community. We need more people to help with our fundraisers, more people to help with the Poppy Appeal, particularly house to house collections, and more people to come on the committee to help us put on events and outings. The current committee is fully stretched at present and the membership is too small for us to offer anything other than basic membership. If we could double our membership, we could offer so much more in the way of welfare and entertainment. So please think about it and if you decide to help why not come to our next committee meeting. That will be on 14 March 2019 at 7.30pm (19.30 service time), in The Barn, The car park, Littleport. Alternatively come to the Pop-in Centre, at The Barn, from 12.30 to 15.00 on the 14 Feb 2019, and on the second Thursday of each month from March 2019 until further notice.